False eyelashes can be a fabulous addition to your look. Choosing the right eyelash glue is essential to keeping your false eyelashes on securely without falling off half way during an important event. Different false eyelashes require different types of glue, so you need to be prepared and know which glue works best for the eyelashes you like to wear. Determine the type of false eyelashes that suit you best. 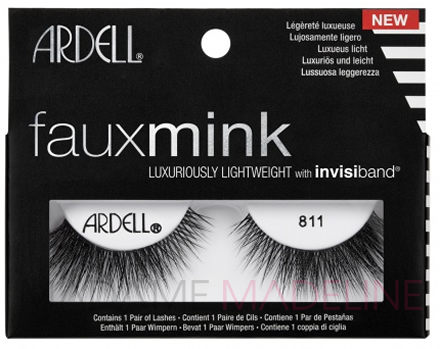 You can purchase false eyelashes in full strips, small sections or individually. Eyelash strips tend to be more obvious but are easier to apply. Decide which color of eyelash glue you want to use. Eyelash glue usually comes in clear or dark options. The clear eyelash glue goes on white but slowly fades to clear and is unnoticeable. The dark eyelash glue dries to a dark color wherever it is used and can be helpful if you’re trying to achieve a more dramatic look. Featured eyelash adhesives, DUO Adhesive and DUO Eyelash Adhesive, offer secure hold without added weight. Choose waterproof eyelash glue if you want a strong, secure hold. Waterproof formulas, such as DUO Eyelash Adhesive, come in either clear or dark glues, depending on the look you are going for and generally last longer than other types of eyelash glues. Read the product information on the eyelash glue you choose. There are several strip eyelash glue that are recommend for your false eyelash use. Ardell LashGrip Adhesive — offers water-proof hold. Available in Dark or Clear. Shu uemura Eyelash Adhesive – offers gentle hold. Available in Clear. DUO Adhesive — offers gentle hold. Available in Clear. This is the glue of choice used by MAC make up artists worldwide. DUO Eyelash Adhesive –offers water-proof hold. Available in Dark or Clear. Andrea Modlash Adhesive — offers water-proof hold. Available in Dark or Clear. Revlon Precision Lash Adhesive –offers moderate, latex-free hold. Available in Clear. DUO Brush On Striplash Adhesive–offers strong latex free hold. Available in Clear. Nearly all type of strip eyelash adhesive can work on every type of false eyelashes. Do not be duped into using expansive glues as they all work relatively similar. For those who have latex allergy or sensitivity, Revlon Precision Lash Adhesive should the adhesive of choice as this adhesive is latex-free. Be careful with the eyelash glue you choose. Apply it carefully and evenly and don’t apply it too thick on your false eyelashes. Too much glue can ruin a good pair of false lashes. I’ve tried this one eyelash glue from asia and it felt like someone was just pouring hot water into my eye! It stung so bad and burned for hours. I will never use china glue again. I’ve tried Ardell glue and they are okay. Has anyone tried Shu or Duo eyelash glue? Hi, is the duo glue better in the dark tone or the one that dries clear? What’s the difference between the two besides the﻿ color? Thanks! I use only the dark tone ones. I have no problems removing the dark glue residue off. I prefer the dark tone because it blends right in with my eyeliner. With the other sometimes it dries a bit shiny and I don’t like that look. I bought a tube but the tube does not say the word surgical on the bottle. Does anyway know where to find Duo Surgical Adhesive?? Help!! I follow your weblog for quite a extended time and need tell that your articles usually prove to be of a high value and high quality for readers. I also purchased an Asian eye lash glue in a tube similair to a lip gloss stick with a brush. It seemd so easy. My eyes burned, watered and swelled. I have been using the DUO Eyelash Adhesive for my individual eyelashes, however, any form of liquid (water – hot/cold, tears, etc.) causes the eyelashes to come off. However, I do love that the product dries flexible instead of stiff. So, knowing that, do you carry any other eyelash adhesive for individual lashes that dries flexible and truly is waterproof? Now that the warmer weather is here, I need a product that will remain in place if I jump into a pool with friends so that I will not come out of the water with lashes all over my face or left in the pool. All latex based adhesive including DUO Eyelash Adhesive is designed to bond skin to hair. The problem is that they do not last that long as they are not semi-permanent adhesive and will readily come off when you use it to apply individual lashes. So far all individual lash adhesive all dries stiff and they are less flexible and difficult to remove. This is not surprising as individual eyelash adhesive hold up the lashes and repeal water better. DUO is the best in my opinion! This will be my first time using false eyelashes I want my eyelashes to look real for everyday uses I don’t want to put any mascara on them I just want to achieve a natural look with fuller eyelashes. 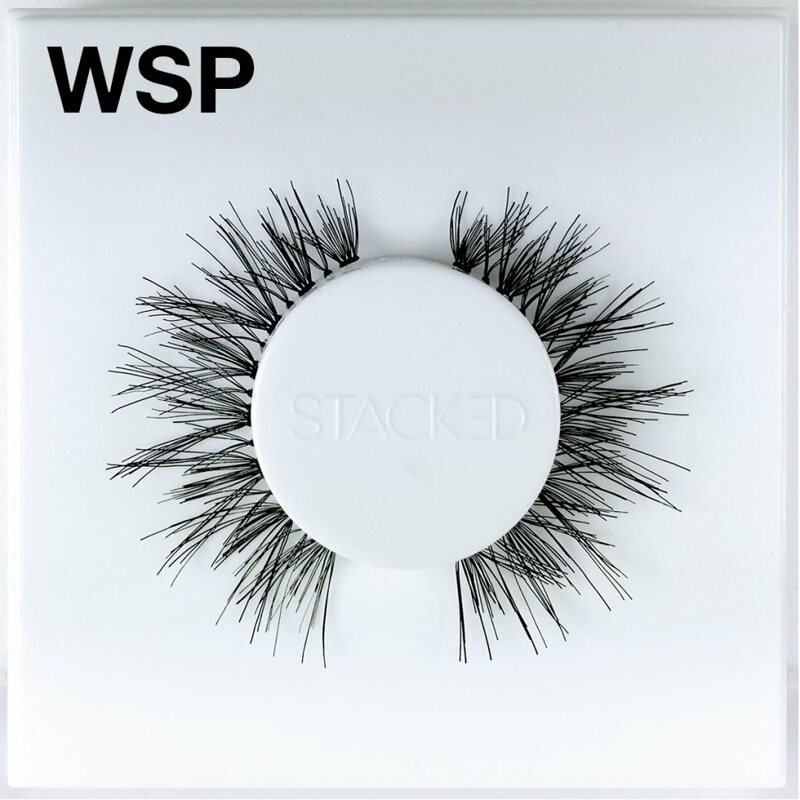 What would be best for me—the individual lash or the full lashes? Any suggestions for a waterproof, tear proof eyelash adhesive. I have tried both duo and Ardell and both started lifting at corners. Thanks. Which glue is the best fot indivduals eyelashes? I personally prefer this adhesive over NYX Eyelash Glue and Ardell Lashtite as it hold the lashes on better. I wear false lashes everyday! And I find the duo brush on adhesive. It is one of the best ones after first use after trying many different glues from drugstore. I tried NYX and some other Wal-mart brand, But they are a weird creamy texture. They also take long to get tacky to set. I love this adhesive and have repurchased more than once! I recently bought Ardell latex free Brush-On Strip Ladh Adhesive that is clear w a nail polish-like brush applicator and it was USELESS!! I’ve used every kind of Duo, Ardell and some other professional brands that all ranged in price and now that I’m older find that my eyes sting more easily so thought I would try latex free. It was watery, thin and didnt tack up or stick at all on clean, oil free skin so I wouldn’t waste Your time or money on this product either …I got it at Walmart for about four dollars And it had a strong smell very chemical. The one good thing about opaque glues that are gummy is you can throw your lashes in a small jar with alcohol after wearing And the glue will roll right off when you get up in the morning! presto clean lashes ready for wear again …just money thrown away On this thin type. Still looking for one that holds but isn’t so toxic that it can’t be used for daily use. !! Love reading all the opinions.